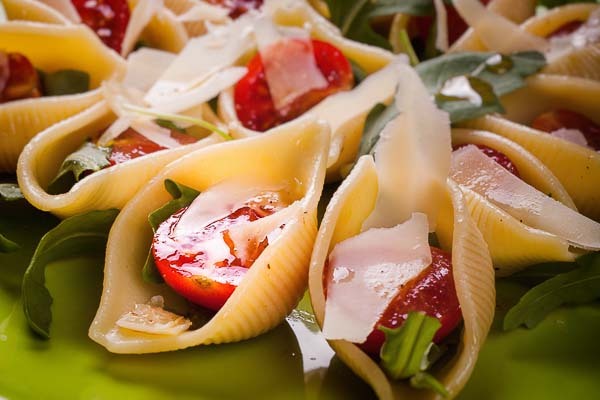 This is one of those Italian pasta salads that I consider to be healthy. Made at the last moment because it's so simple to do. A real charge of health made up of three colors that I often find myself doing with summer meals. 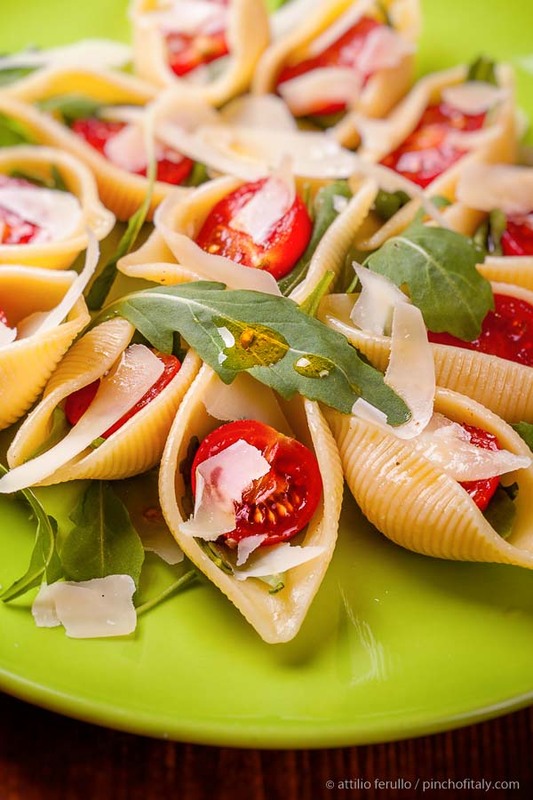 Serve cold with raw arugula, parmesan cheese, cherry tomatoes and a drizzle of olive oil. 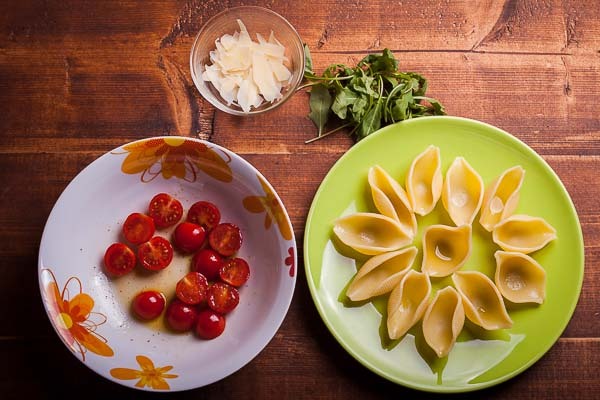 Big shells (conchiglioni) are big enough (jumbo shells are even too big) filled with a leave of arugula, half cherry tomato and a flake of parmigiano cheese for each shell. 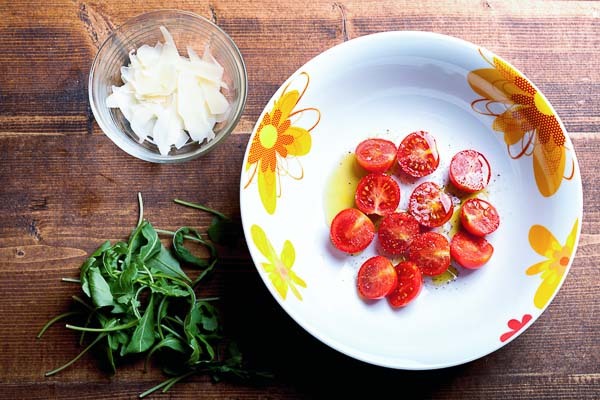 Ripe tomatoes and fresh arugula are necessary to maximise the healthy aspect. Good extra-virgin olive oil is a must too. Serve immediately, just cooled, you don’t need to keep in the fridge as long like other pasta salads. It's best as it is. 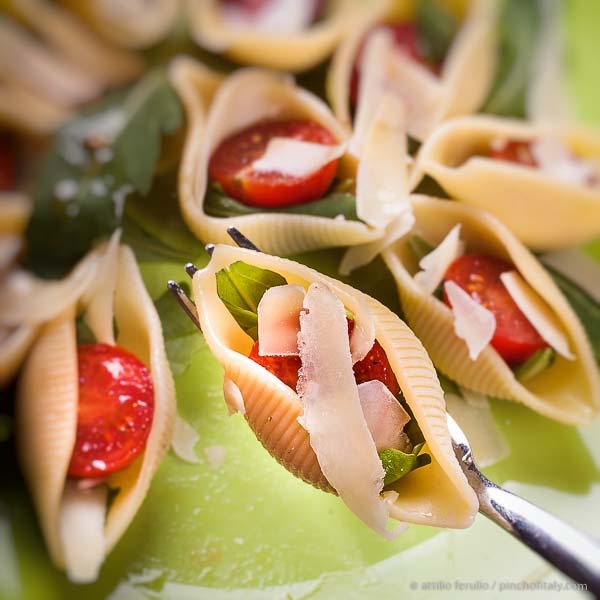 To fill the shells help yourself with a teaspoon, it’s much easier than you may think. A last drizzle of olive oil and extra grated parmigiano, salt and pepper if you like. Cook the shells for the necessary time in a pan filled with salted water. Drain and rinse to remove the starch from the pasta and put all in a bowl. Season with extra-virgin olive oil. With a spoon place the shells in the dishes. 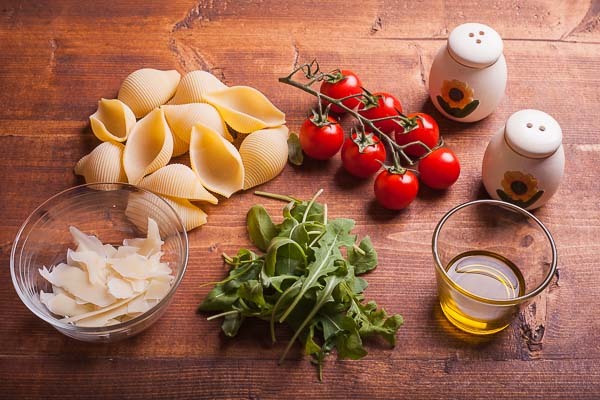 In the same pasta bowl cut the cherry tomatoes in halves and season with more olive oil and a pinch of salt. 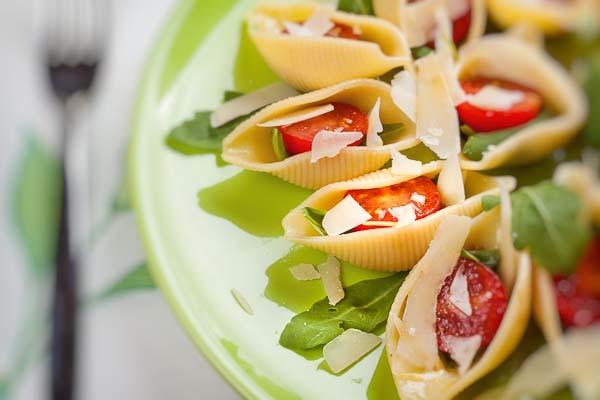 One by one with a spoon fill the shells, put first a leave of arugula, next an half cherry tomato and then a flake of parmigiano cheese. A last dizzle of olive oil and extra parmigiano if you like. Ready to be served! 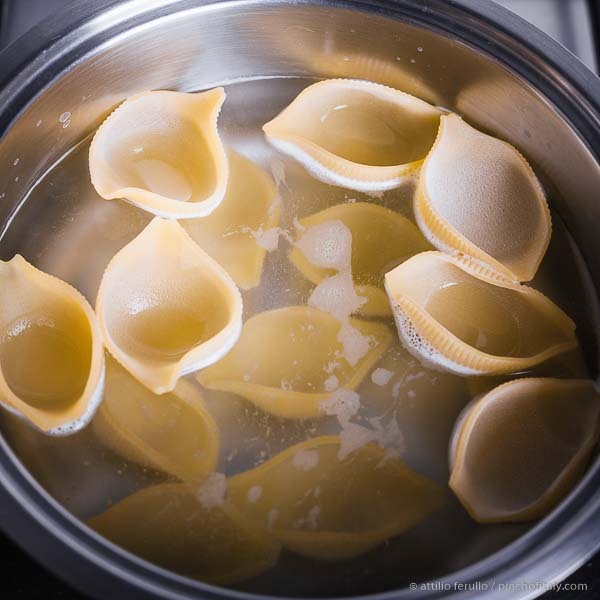 Boil the big shells in a pasta pot filled with salted water. Once cooked rinse under running water to remove the starch from the pasta. Season with extra-virgin olive oil. Rinse the cherry tomatoes under running water and cut in half, then rinse the arugula too. 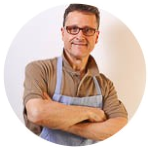 With a vegetable peeler make some flakes of parmigiano that you will keep aside. 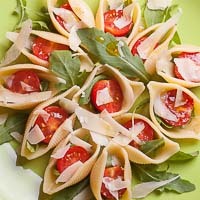 One by one with a teaspoon fill the shells with a leave of arugula, half tomato and a flake of parmigiano. Style the shells in a circle way to give them a pleasant look.